Have you ever had awesome neighbors that bring you bags full of avocados that their large tree keeps churning out? Us too! Thanks to Carl and Debbie, we have had those rough Santa Barbara days with more avos than we know what to do with. So when in doubt, search for dessert recipes! Combine all the ingredients in your food processor* and blend until ridiculously creamy. Scrape down the sides of the bowl, blend again, and then taste. Now wait. 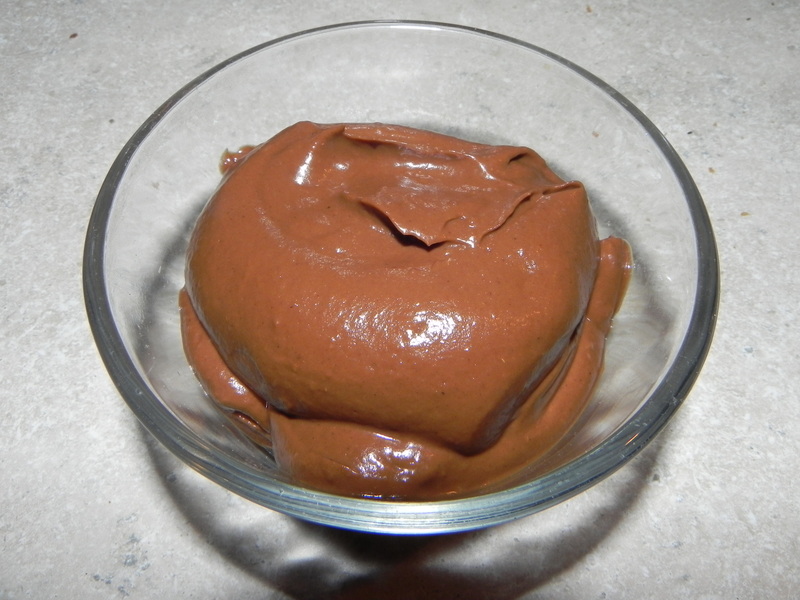 See if there is even a hint of avocado aftertaste and if it needs more chocolatey goodness then add more cacao powder and if it needs more sweetening, then add stevia to taste. We ended up adding a little bit of both until it got the entire family’s approval. You could also experiment with variations by adding coffee (mocha) and cayenne (mole’.) Feel free to enjoy this with some real whipped cream and/or a simple berry compote. Chole’! What other fun things have you done with the lovely avocado? http://ohsheglows.com/2011/01/31/15-minute-creamy-avocado-pasta/ this one is great too! Looks delicious! We just used up our avocados for guacamole with dinner tonight, but I definitely want to try this out when we get some more. Thanks for sharing!